This video shows a sample of our masquerade masks that we display in our Chicago store. If you're looking for something custom or hard-to-find, give us a call. 98% of the time, we've got it. 773-777-0222. Take a look at our guides for traveling to New Orleans for Mardi Gras and other fun advice! 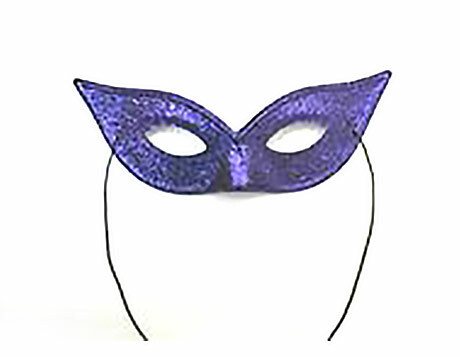 If you're looking for ideas on what type of party to throw where you can use masks like this, checkout this article we put together on top ten masquerade ball ideas. This is an excellent piece on finding the right mask for your dress. Don't want to spend a ton on your next masquerade ball outfit? Check out these 20 masquerade dresses you can rent. We even paired the perfect mask with each one. Looking for a place to wear your mask? Check out these local masked events. 300+ styles of masquerade masks. Whether it's a masquerade ball, themed prom or class re-union - we've got you covered. Your big event is around the corner. 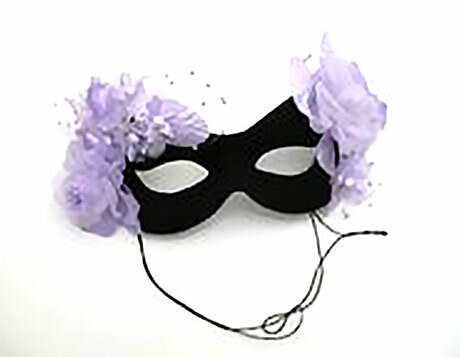 Masquerade parties are a fun way to mix fashion with mystery. You have to walk the line between expressing yourself while also concealing your identity. 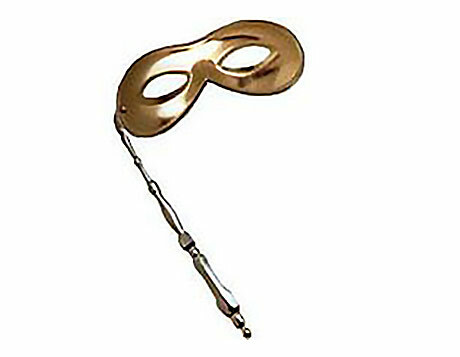 What better way to keep your privacy than with our selection of high quality masquerade masks? 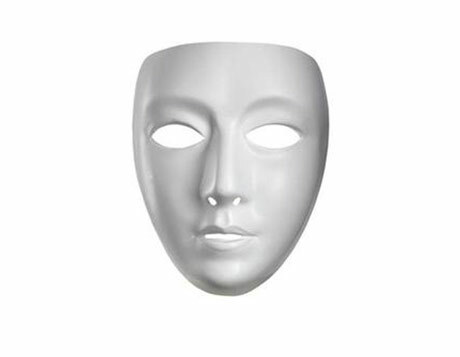 Most masquerade balls offer a complementary mask with ticket purchase, but they tend to be cheaper, flexible plastic masks. 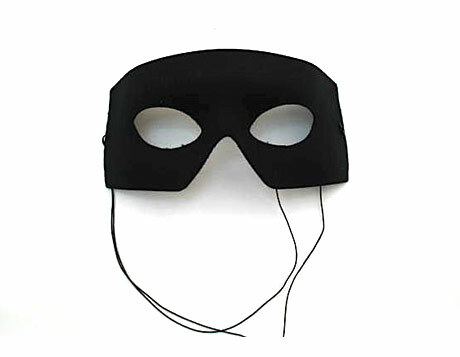 These are often discount, bulk masquerade masks. Not only are these masks generally smaller and harder to keep your face hidden, but who wants to wear the same mask as everyone else? You’ll be lucky if they have multiple colors to choose from. Standing out in the crowd, while staying hidden in your disguise, is the whole point. You may have the perfect ballroom dress or suit picked out, with the right shoes and accessories. But we all know the mask is what makes the outfit. 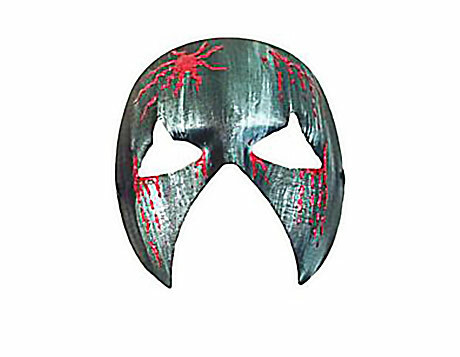 Take your costume experience up a level with our excellent quality mask selection. 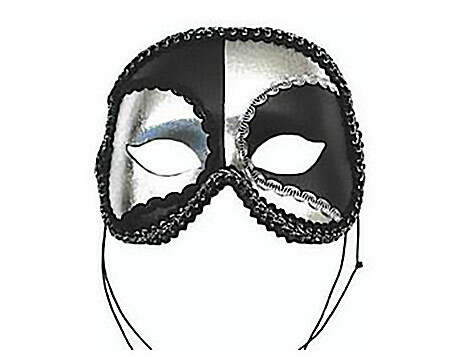 We offer a huge selection of masquerade masks for men and women in any style you can imagine. We have a huge masquerade mask wall in our Chicago store. If you're in the area, stop in and check out hundreds of styles of masks for your next ball or masquerade party. Also, we carry tons of party beads and Mardi Gras outfits, too. When you’re shopping for the perfect fancy mask, you have a lot of options out there. How do you know which mask will be right for your big event? 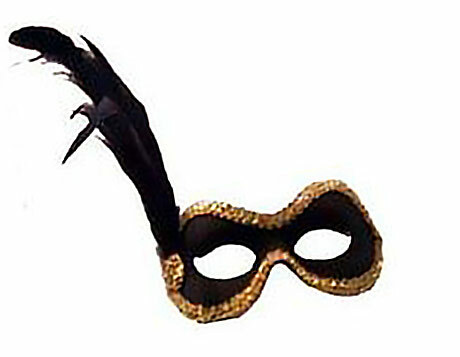 Or how do you know where to find quality masquerade masks? It helps if you have a selection to choose from, and our store has a huge number of masquerade masks for you to choose from. We of course have plenty of cool, fashionable masks for men. 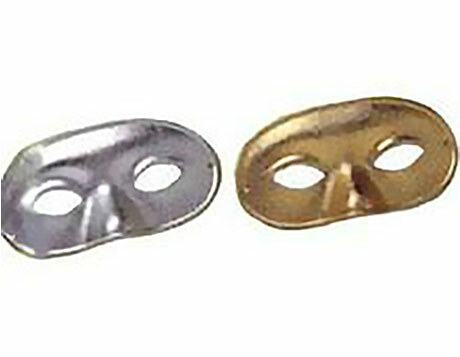 For example, we have classic masks on sticks and half face masks made popular by the Phantom of the Opera. For the ladies out there, our selection of ornate women's masks can't be beat. 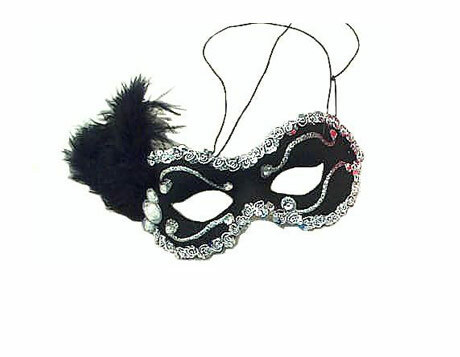 Our fancier mask collection is perfect for a Mardi Gras or ballroom party. We have a wide variety covered in feathers and glamorous crystal and rhinestones. Whether you're headed to New Orleans to wander down Bourbon St. or dressing up for Vampire Masquerade, our masks will satisfy your desire for the mysterious. 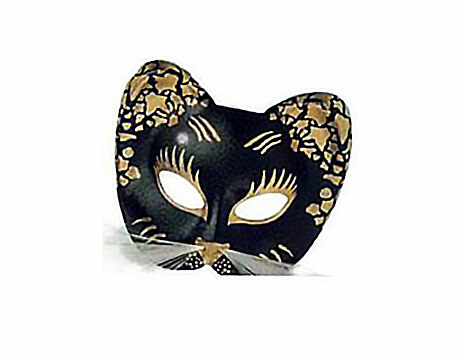 Be playful with our animal themed masquerade masks in cat, butterfly and bat shaped masks to name a few. 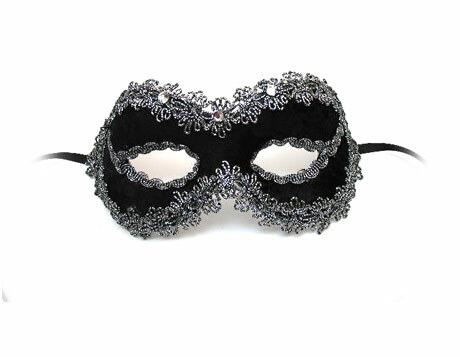 Lace, crystal and sequin debonair chic masks give you that classy, sophisticated ballroom party look. 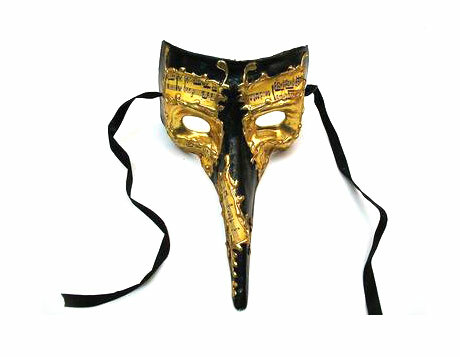 For the bold, our long nose Venetian masks are a throwback to the past. Our color options won't leave you disappointed. Gold, silver, black and white - you name it. Ornate and simple masks for any occasion. Our mask pricing ranges from $5 to $50 dollars but we offer free shipping on orders over $50, so it makes sense to pickup two masks if you’re going with a date or doing a couples themed event. If you’re planning a ball or party, call us to discuss bulk rates for larger quantities of masks.